The Snowy Mountains, known informally as “The Snowies”, is an IBRA subregion and the highest mountain range on the continent of mainland Australia. It contains the Australian mainland’s highest mountain, Mount Kosciuszko, which reaches to a height of 2,228 m (7,310 ft) above sea level. The range also contains the five highest peaks on the Australian mainland (including Mount Kosciuszko), all of which are above 2,100 m (6,890 ft). They are located in southern New South Wales and are part of the larger Australian Alps and Great Dividing Range. Unusual for Australia, the mountain range experiences large natural snowfalls every winter. Snow normally falls the most during June, July and early August. Therefore, most of the snow usually melts by late spring. The Tasmanian highlands makes up the other (major) alpine region present in Australia. 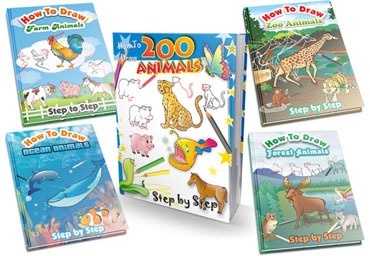 Here are the steps to draw Cartoon Snowy Mountains. Enjoy! 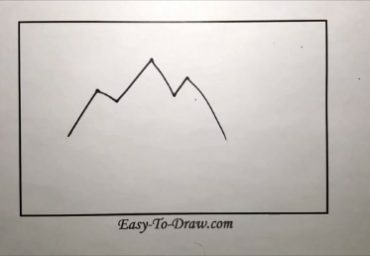 Step 1: Draw the outline of the first snowy mountain. 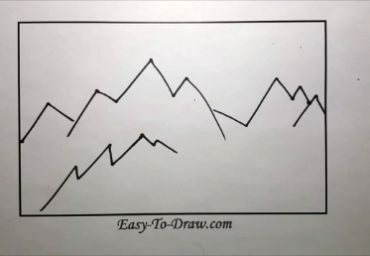 Step 2: Draw the outline of the other snowy mountains. 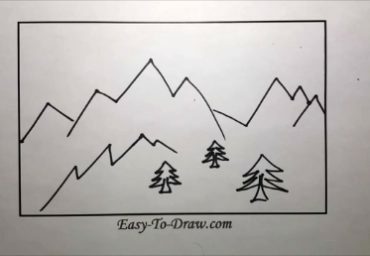 Step 3: Draw three pine trees under the snowy mountains. 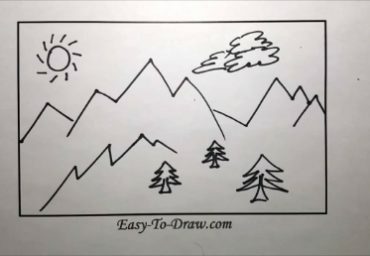 Step 4: Draw a sun and some clouds above the snowy mountains. 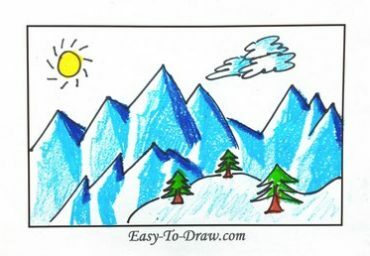 Step 5: Color the snowy mountain with dark and light blues to make them look sharp. Step 6: Color the pine trees green and the tree trunks brown. 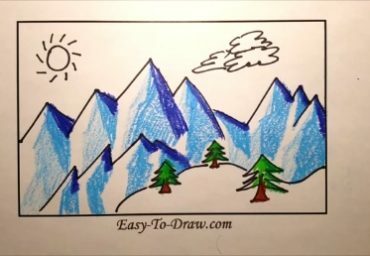 Step 7: Finally, color the sun yellow and the clouds light blue and white. 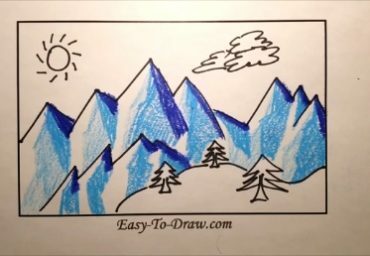 Snowy Mountains Video Drawing Tutorial for kids!